At the ground floor of the Novotel Manila Hotel in Araneta Center, there used to be an unused space that was right beside its all-day dining outlet called Food Exchange. For a time, the space was turned into a playground for guests with kids. But officials of the hotel had a better idea. 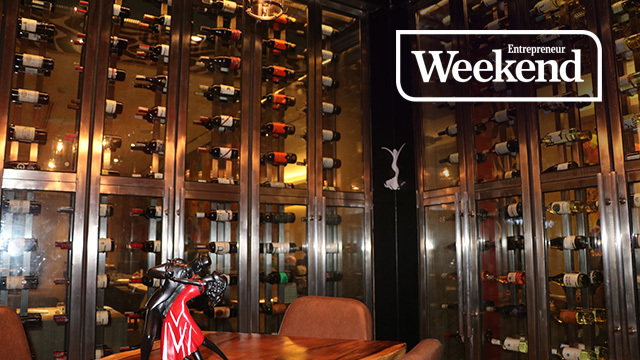 “The former GM of the hotel and Mr. Jorge Araneta thought there wasn’t a good wine bar in the area so they decided to open one right here,” said Nonito Cuizon, assistant marketing communications manager of Novotel Manila. Araneta, who is the chairman, president and CEO of the Araneta Group, a diversified conglomerate with interests in property, food, leisure and hospitality, is an avid wine collector and was looking for a place to store his vast collection. 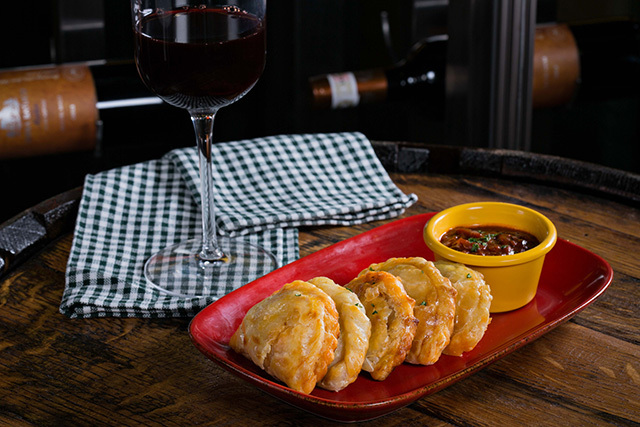 He also noticed that Araneta Center in Cubao, Quezon City did not have a proper wine bar where guests can sit down and relax with a glass of wine and some authentic tapas. Araneta Center was one of the country’s earliest commercial and entertainment areas built around the Araneta Coliseum, which was Asia’s largest indoor arena until the early 2000s. The entire complex recently underwent a redevelopment into a mixed-use transit-oriented district consisting of malls, office towers, residential condominiums and hotels. Its office buildings host some of the country’s biggest call center and business process outsourcing (BPO) operations serving corporate clients in the US and Europe. The son of J. Amado Araneta, who built Araneta Center in the 1960s, Jorge Araneta is No. 28 in Forbes magazine's list of the 50 richest people in the Philippines in 2018, with a net worth of $315 million. Besides Araneta Coliseum, the Araneta Group also holds the Philippine franchise for popular food brands like Pizza Hut, Dairy Queen and Taco Bell. Araneta is also a director of Philippine Seven Corp., which owns the franchise of the 7-Eleven chain of convenience stores, and is a co-founder of Medical Doctors Inc., which owns and operates the Makati Medical Center. Sabor Bar De Vinos opened in July and now stores Araneta’s precious wines alongside the hotel’s own collection in an impressive floor-to-ceiling glass cabinet. Cuizon said the intimate bar now counts expats and those working in BPOs in the area as regulars. Even Araneta himself stopped by and enjoyed some wine and tapas with his friends one evening recently. “He was very easygoing and down-to-earth,” Cuizon said. Sabor’s extensive wine list—totaling 365, or one for each day of the year—includes a mix of old and new world varieties that should satisfy every kind of wine drinker. The bar also offers three kinds of sangrias specially concocted by the hotel’s mixologists. Before its official launch in October, Sabor is offering a promotion of unlimited sangrias for only Php700. 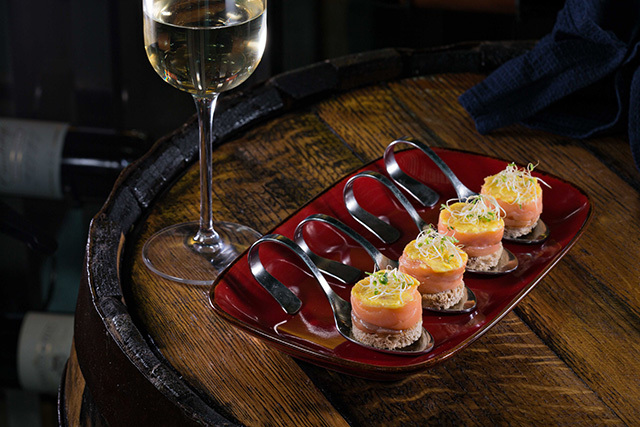 As a Spanish-themed bar, Sabor also offers tapas plates. 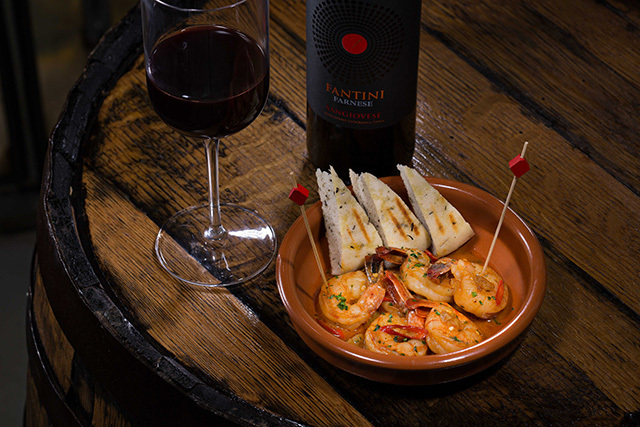 Favorites include Gambas al Ajillo or plump, sustainably sourced prawns in garlic, butter and white wine sauce; Galician Style Chicken Empanadas stuffed with marinated chicken, herbs and aromatics mixed with olives and peppers; Beetroot Arancini with Goat Cheese, Mushroom Croquettes; and Bitterballen, which is made of veal mixed with parsley and onion. To cater to the fast-paced lifestyle particularly of remote workers, Sabor’s interior designers even provided electrical sockets in a “work station” area that looks out into the busy streets outside. Guests can also charge their phones here while they enjoy their wines and tapas. Sabor Bar in Novotel Hotel Manila is located right beside the iconic Araneta Coliseum and offers a slightly more upscale option for those looking to unwind after work in the bustling Araneta Center. Sabor Bar de Vinos is open from Tuesdays to Saturdays, 5 p.m. to 2 a.m.